Take control of your customer relationships with a live chat tool built specifically for hoteliers. 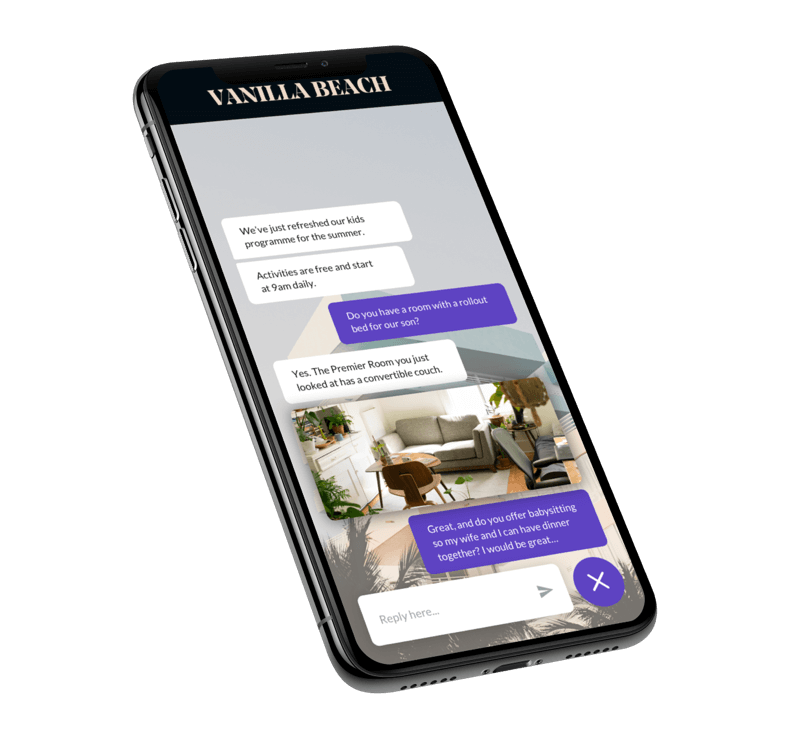 Speak directly with potential guests or assist them automatically with an AI chatbot that knows your hotel. Live chat is an increasingly popular form of customer communication. Front Desk allows your reservations team to provide a truly dynamic, mobile suited experience to every guest. 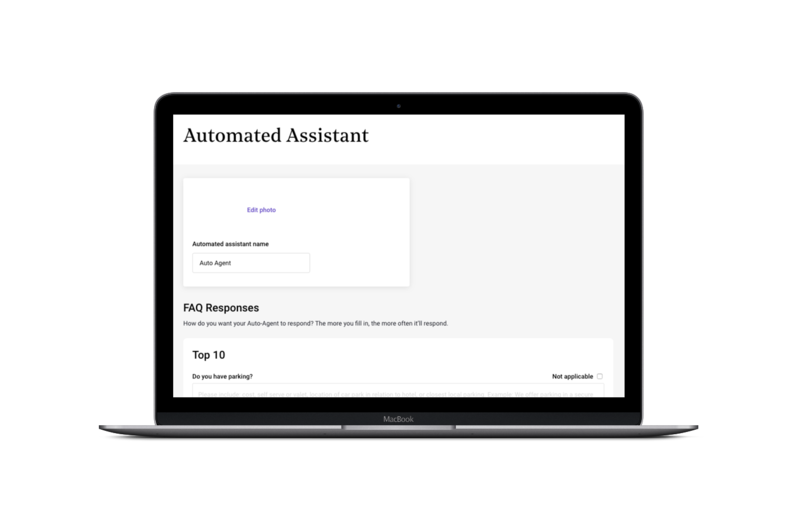 You have full control of how your automated assistant answers your FAQs. Edit them at any time to reflect your brand voice and switch the assistant on and off as needed.